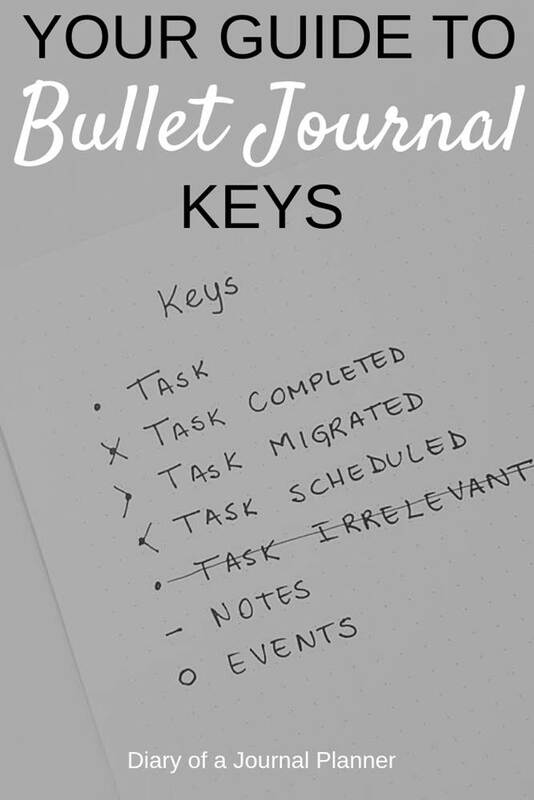 In this post you will learn how to use bullet journal keys for rapid logging in the bullet journal method! 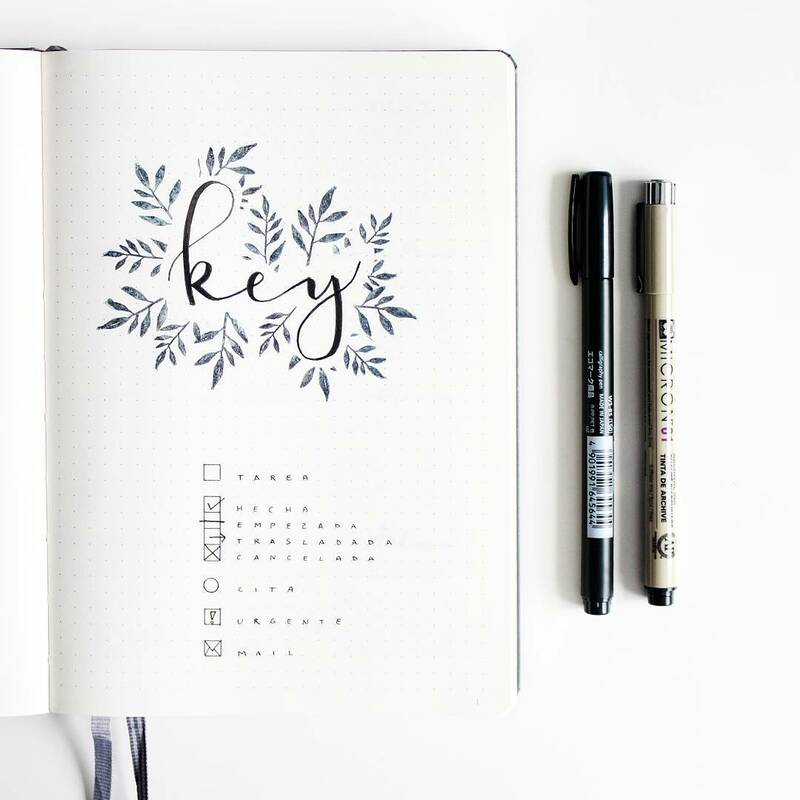 When you start using a bujo, one of the first things you have to determine is how to set up your bullet journal key. 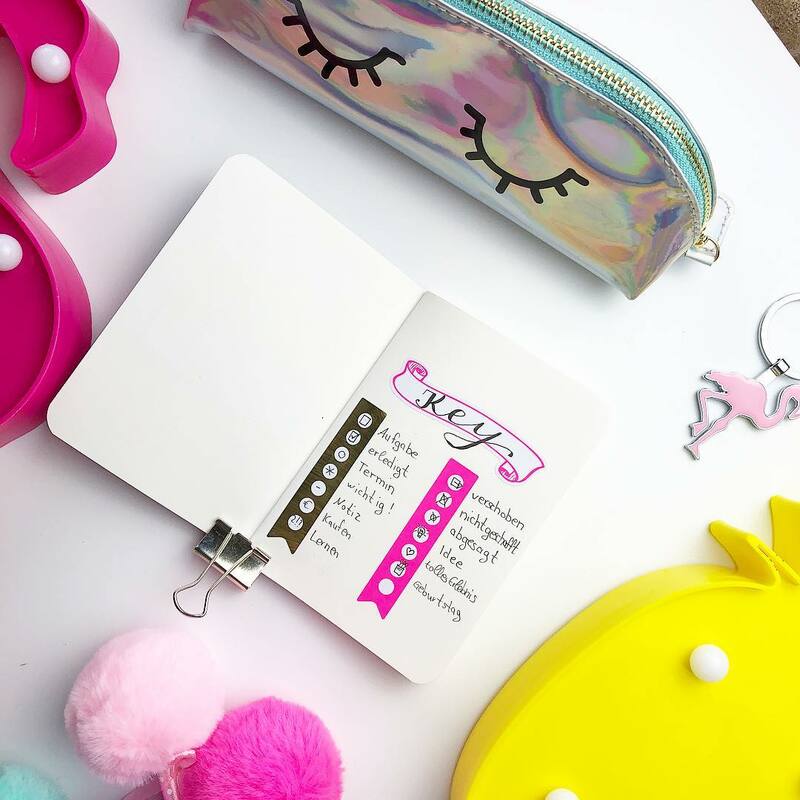 But what is a bullet journal key exactly and why do you need one? 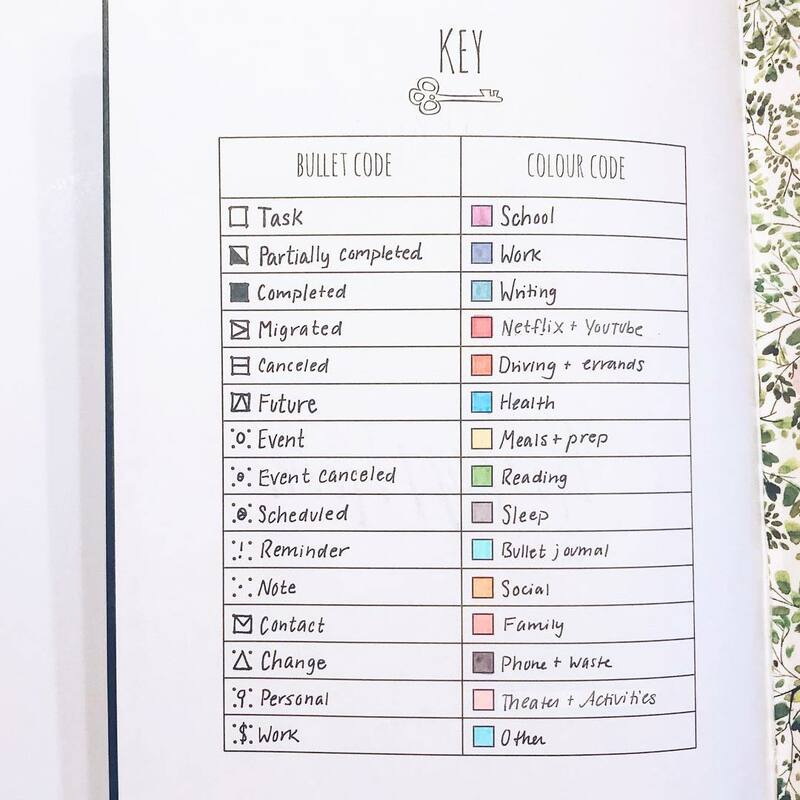 In this post I will walk you through how to use the bullet journal key symbols for rapid logging and I will share a few examples to inspire you on bullet journal key ideas. If you are new to bullet journal you might want to check my guide for starting a bullet journal. In this article here I give you an entire overview of the system for you to start up. 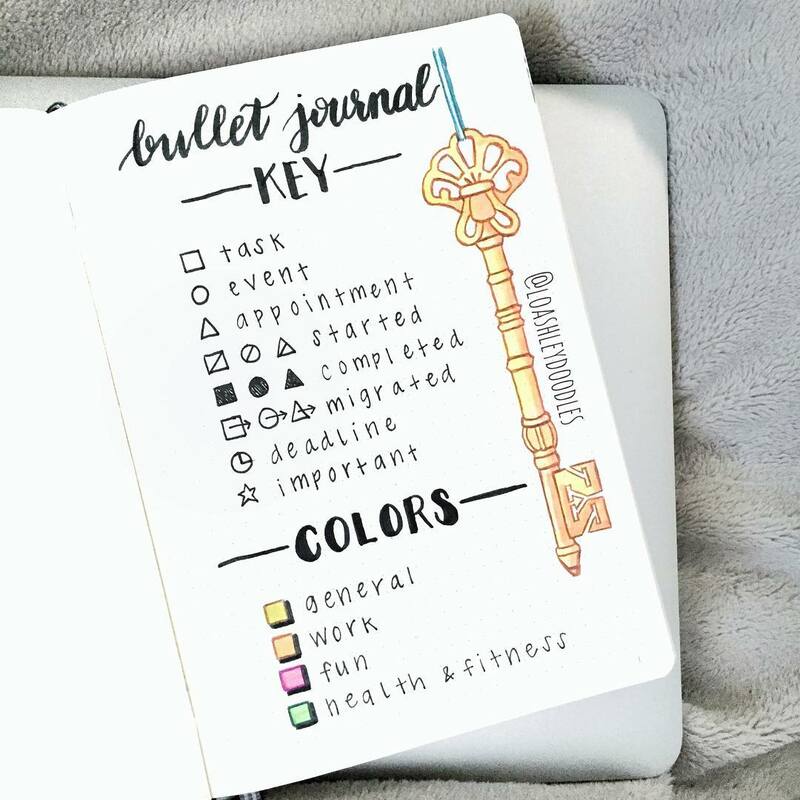 Bullet Journal Key – we are talking about it in this post! 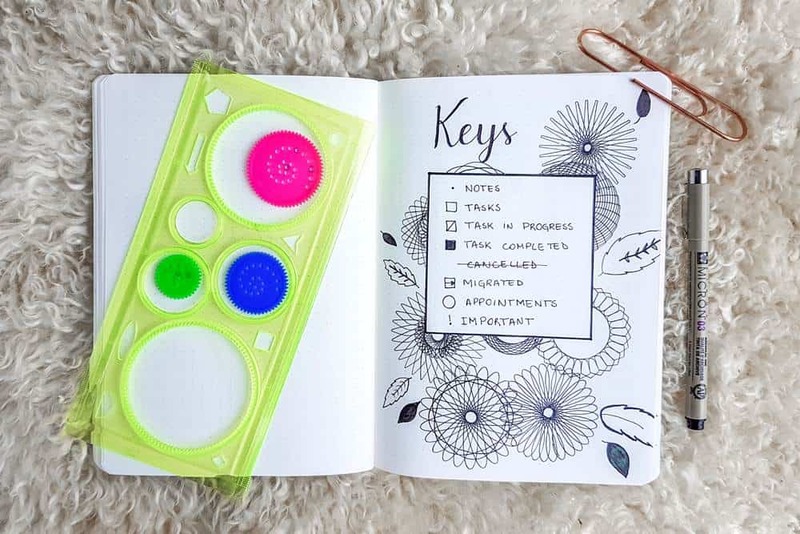 The concept of bullet journal keys was created by Ryder Carroll, the Bullet Journal method creator. 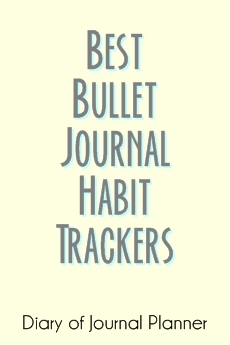 The key to bullet journal rapid logging is the bullet key (pun intended!). Rapid Logging is you can capture the information with a lot less content and organize it with bulleted lists. For rapid logging each bullet journal icon is a visual demonstration to classify an entry into either task, event or notes, and you change the symbol as you get on with your tasks. 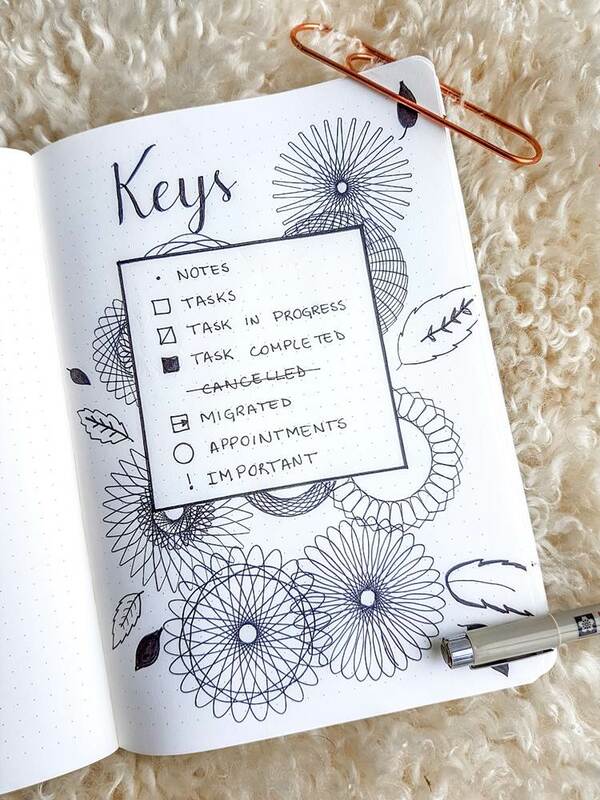 However, as everything with bullet journal, you are also free to optimize your keys to suit your own needs. Many people do it, include myself. And it makes total sense, for instance if you use your bullet journal as a student you will probably need a different set of keys for school than you would for work for instance. So don’t be afraid to test different set ups if something doesn’t work for you. 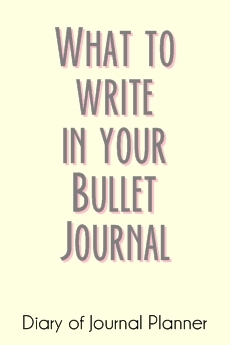 Sometimes we need an extra bit of information to differentiate similar entries where just using the keys isn’t enough, that is when the bullet journal signifiers come in handy! The signifiers are extra symbols that give additional context to your entries. For instance I use the exclamation mark to mark tasks or appointments that are super important and therefore need to be prioritized. I just add the exclamation mark to the left of my entry when rapid logging. When I scan the page I am working on I can see immediately what are the tasks that I need to concentrate first. Exclamation mark (❗) = Important: I use this signifier to mark important things on my list that needs prioritizing. 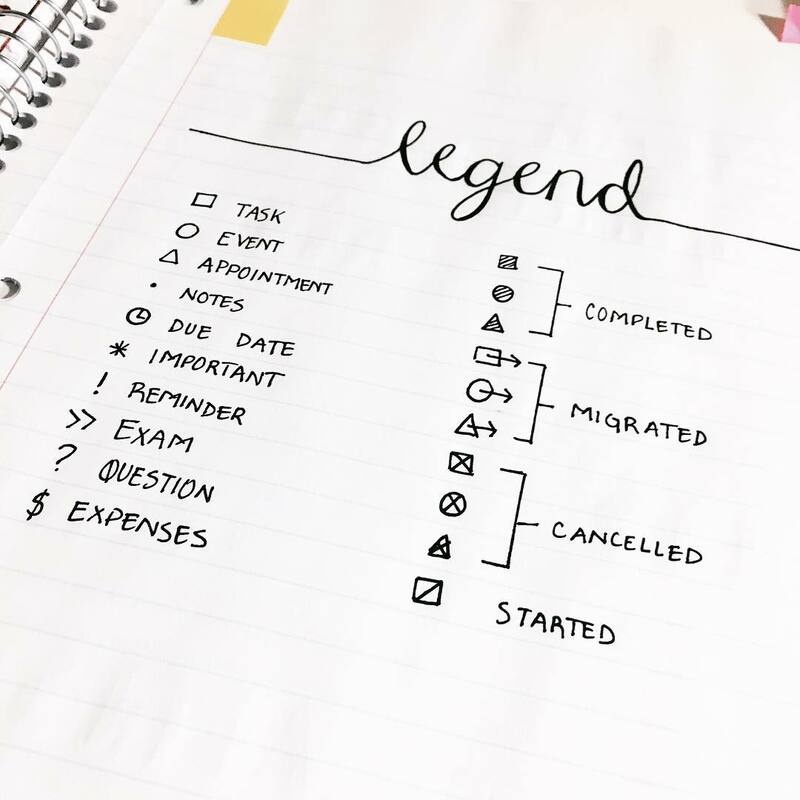 You can add more bullet journal legend and signifers to help you log your entries fast, just be aware that too many signifiers can actually make you less effective. Heart symbol = inspirational ideas and personal mantras. Dollar symbol = expenses or invoices to be generated. Clock symbol = deadline and due dates for projects. Question mark = for something you need to verify. And you get the idea, you can create your own signifiers, that will make sense to your entries. You definitely don’t have to use the same ones or mark them for the same thing! Do your thing! These are just a few to get you started. I myself only use a couple max, and mostly I use the important signifier. You can also add color to help you classify your entries. 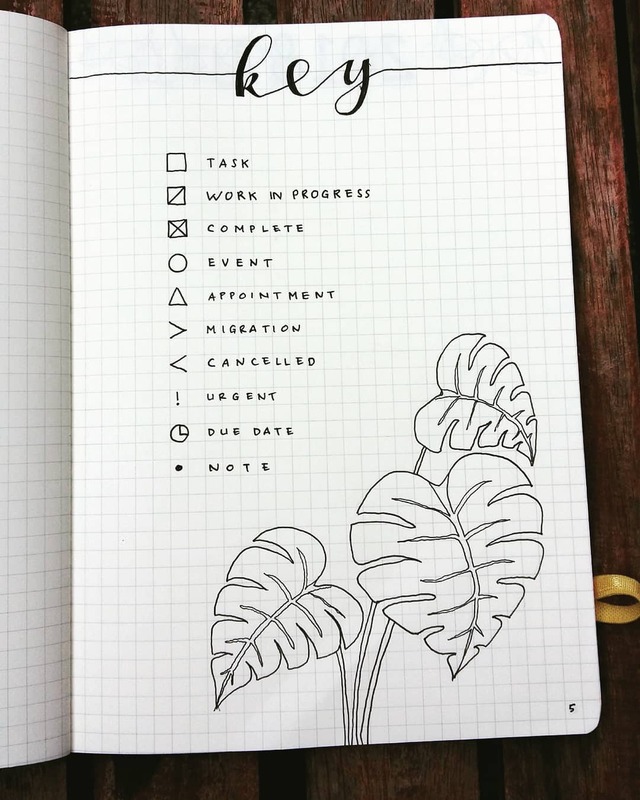 I love this beautiful bullet journal key layout from Rachel at Planning Mindfully, she uses her favorite bujo notebook Scribbles That Matter. This is a simple way to block time in your schedule too. And the colors add such beautiful colors to your bujo. I like to keep the keys and signifiers to a minimum because I can get confused if I use too many. Less is more, right? For work I add my tasks and mark them as I progress, complete them or cancelled/mark as irrelevant. 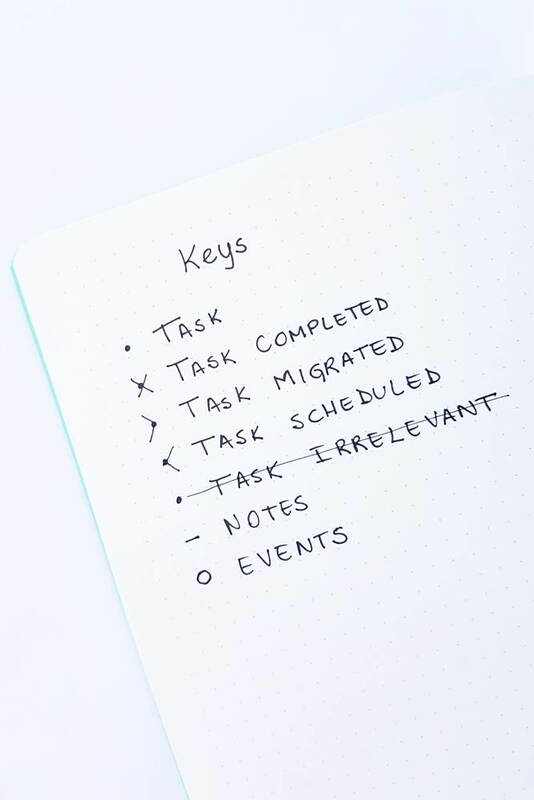 Sometimes I have to migrate tasks when I try to do too much in a day and run out of time. I simply use a little arrow to remind me that the task has been moved. When that happens, I repeat the task on the next day/week accordingly on the page. I use dots/dashes for notes and reminders. Finally I have appointments, those are mostly related to my personal life. I use a circle to differentiate them from the other tasks and notes. If I need to prioritize something I use the exclamation mark! I find that these simple symbols help me log my lists so easily and keep on track of everything seamlessly. If your bullet journal notebook doesn’t come with the appropriate key page, such as mine shown above, you just need to write it on a paper like I did. Here are a few of my favorite inspiration for bullet journal, I love the designs. 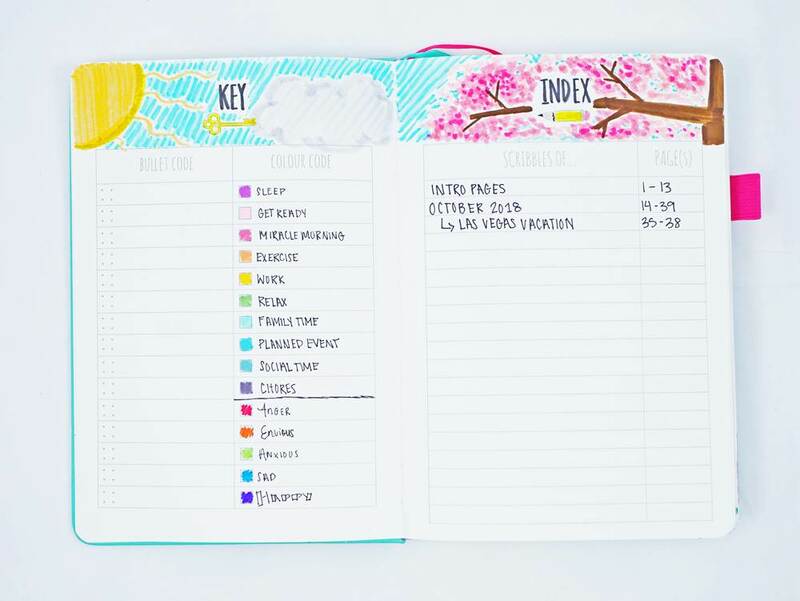 Check their beautiful bullet journal accounts! 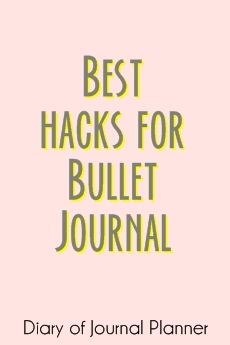 And you, how do you bullet journal key?